(September 4, 2018) –Provost and Vice President for Academic Affairs Kimberly Andrews Espy today released the results of a recently completed gender pay equity analysis of UTSA faculty. As part of a UT System initiative to ensure gender pay equity for faculty across all System institutions, UTSA faculty Daniel Sass and Anuradha Roy of the Department of Management Science and Statistics collaborated with leadership and staff from Academic and Faculty Support, Institutional Effectiveness and Human Resources to conduct the statistical analysis, which factored for department, rank and years of experience. 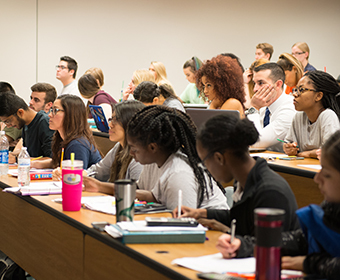 In addition to comparing the earnings of female and male faculty, the UTSA study also examined the compensation of under-represented minorities, defined by UT System as Asian, Black or Hispanic. Overall, the study showed that, among UTSA tenured/tenure-track faculty, there were no statistically significant differences among male and female faculty members’ salaries when controlled for department, experience and rank. Furthermore, with these variables controlled, there were no differences between under-represented minority and international faculty and White, non-Hispanic faculty. Using the results from these statistical analyses, Human Resources then worked with the college deans to review the predicted and actual compensation of each tenured/tenure-track faculty member in light of national salary survey data. After considering additional factors such as faculty performance and experience, the college deans identified 72 faculty members who warranted adjustments to resolve salary inequities. Of those, 43 percent were women and 57 percent were under-represented minorities. All colleges have multi-year plans to increase the salaries of those faculty identified through this process; however, reviews will be conducted in future years to make any adjustments needed. Approximately 40 tenured/tenure-track faculty will receive incremental adjustments this academic year.